Posted by Teresa Mihelic HelpDesk on Friday, June 8th, 2012 at 12:17pm. 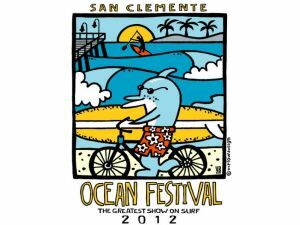 The San Clemente Ocean Festival is coming again to the city this upcoming July 21st and 22nd, of 2012. The summer annual celebration is a great opportunity to get the family together, head to the San Clemente Pier and have some fun! There's many surf contests, races and activities for the kids including awards, a woody car exhibit displayed at the pier and an Ocean Art Show, at Parque Del Mar, overlooking the event. Other activities include : Face Painting, Carnival Games, *Ocean Institute & “Kid Natural” booths for everyone, with many vendors. Pancake breakfasts in the morning, and there will be a free concert on Saturday Night! 6:30 a.m. Registration (on the pier) & Derby – children under 18 must be accompanied by an adult. 20th ANNUAL GREAT RUBBER DUCK RACE @ apx 4p.m.